Thanks for your interest in our colour paint bags! 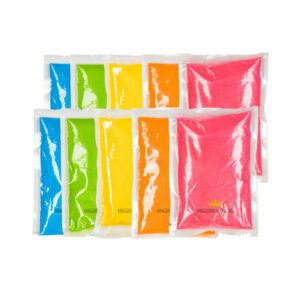 Our small pouches are often used at Colour Runs and Festivals. Available in 70g and 100g size. We offer 7 different, vibrant colors.